Wisdom teeth, which are also called third molars, generally grow in at the very back of your mouth when you are between the ages of 15 and 25. According to the researchers at the University of Maryland Medical Center, most peoples’ mouths are too small to fit four extra teeth. This can cause crowding, pain, infection and swelling, leading most dentists to extract wisdom teeth. Wisdom tooth extraction is minor surgery, and requires careful aftercare for proper healing. Drinking carbonated soda just after having your wisdom teeth pulled can lead to problems. The first carbonated sodas were made from naturally carbonated water. In 1772, British scientist Joseph Priestly dripped sulfuric acid onto chalk. The result was carbon dioxide, which makes the bubbles in your soda. Most sodas also contain large amounts of sugar, which can lead to tooth decay, and sodium, which is very drying to the tissues inside of your mouth. Wisdom tooth extraction is usually performed under a general anesthetic, though many dentists and oral surgeons offer conscious sedation. This means that you can’t feel anything, but are still awake. Wisdom teeth that have already erupted through your gums are pulled out with dental pliers, while extracting them before they erupt may involve cutting open your gum tissue to free the tooth. Either way, the entire tooth is removed, leaving an empty socket. The University of Oregon Health Center advises that you keep a gentle pressure on the gauze that will be packed into your tooth socket to control bleeding so that the socket can form a clot. Avoid brushing your teeth or rinsing your mouth out for at least 24 hours after the extraction, and avoid very hot or cold drinks–including sodas--and solid foods. 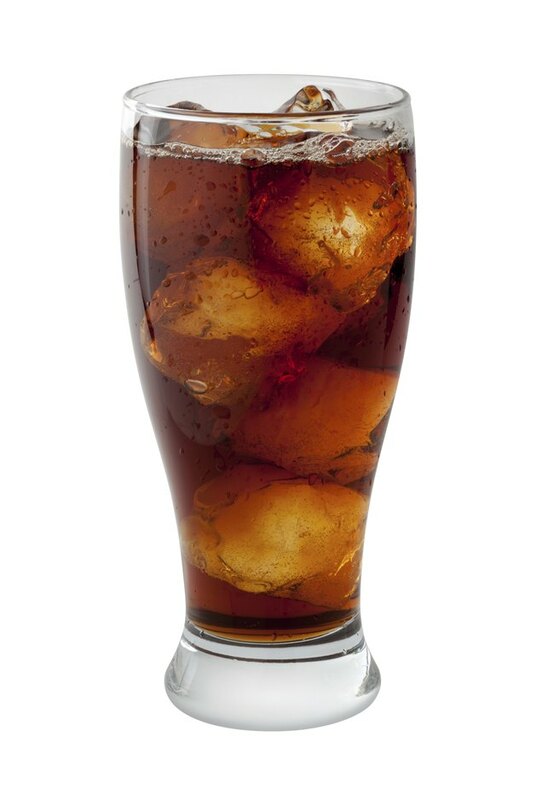 The Consumer Guide to Dentistry recommends that you avoid soft drinks, because the bubbles caused by the carbonation can dislodge the blood clot that needs to form in order for the tooth socket to heal. Drinking through a straw may seem like a good idea after tooth extraction, but the suction needed to draw the liquid up through the straw can dislodge blood clots. Drinking soda through a straw will also not reduce the amount of bubbles, or keep them away from the extraction sites. Dislodging a blood clot before it forms completely causes alveolar osteitis, or dry socket. The absence of the blood clot before the bone and gum tissue have a chance to heal and replace it exposes your bone to the air, and to anything that you put into your mouth. The pain this causes is too severe to be treated with over-the-counter pain relievers and requires medical attention from your doctor or oral surgeon. Consumer Guide to Dentistry: Tooth Extraction: What is Involved with Extraction and What Does it Cost?